Posted December 6, 2013 by Eric Graham . 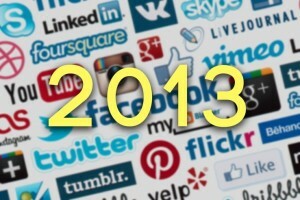 Social networks come and go (looking at you, Myspace), but social media is definitely here to stay. 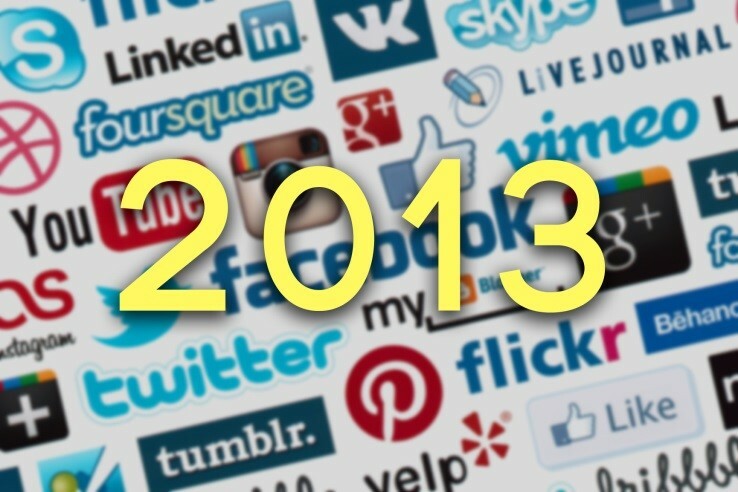 We’re taking a look back at the major changes to the biggest social networks this year. Let’s not forget that teenagers, a demographic known and coveted for their online interaction, are becoming less active on Facebook for many reasons. From a business perspective however, Facebook is poised to have a highly successful 2014 as advertisers are clamoring for the rollout of auto play ads. Despite the initial backlash from consumers, digital marketing consultant Jon Loomer believes consumers might come to like the ads. There’s no official date on when the ads will be hitting your News Feed, but it will be interesting to see how Facebook users feel about them once implemented. Twitter has made quite a few changes this year to the look, feel, and functionality of their site. The changes in the first half of the year brought the launch of Vine, a micro-video app and updating the Twitter Ads center, among other things. More recently, they announced Twitter Conversations which is a blue line connecting related conversations to keep tweeters on track. Two months later, they announced in-line photos and videos, a change marketers and advertisers should be overjoyed about and consider when planning for 2014. A week after the announcement of in-line photos and photos, Twitter also announced the ability to create custom timelines based on particular hashtags, keywords, or topics. Of course, Twitter’s biggest change of the year was going public. It’s unclear at this point what the lasting effects of that will be, but if their 73% increase in stock price from open to close is any indication of success, rest assured Twitter will be here throughout 2014 and beyond. Google Plus may have gotten off to a slow start but recently shared metrics showing over 300 million monthly active users, meaning you can’t afford to ignore Google +. To keep pace with all the changes from competitors such as Facebook and Twitter, Google + announced 18 changes on a single day, including many changes to their photo capabilities, solidifying the site as the go-to social network for photo sharing. This is great news for advertisers as the image-heavy feeds are an excellent tool for getting brand images in front of consumers. Google+ stepped up their game in October by (finally!) introducing custom URLs. This will allow business to more easily share Google Plus content with a branded URL. Most recently, Google+ updated the look of business pages again. Instead of the having an enormous photo and limited space to showcase your business information, you now have a smaller photo and a better display of your name, URL, and categories! The many changes this year for Google Plus set them up to have a stellar 2014, especially as advertisers begin taking advantages of the photo-driven feeds. Pinterest is another site that had a slow start, but traffic has steadily increased and it certainly should be considered as part of a well-rounded social media marketing strategy. No exact date has been determined as they’re committed to introducing ads conservatively, but this is a network to watch in 2014 as it continues to grow. While LinkedIn has recently made myriad changes to the Contacts page, the most notable update they’ve made this year that will affect business accounts is the introduction of LinkedIn Showcase Pages. These pages allow brands and business to share rich content such as promotional images, videos, and blogs, meaning an opportunity to optimize these pages to help increase organic rankings. Content on Showcase Pages is shareable, and they offer analytics to help track and measure success. Keep an eye on LinkedIn for 2014 as Showcase pages take off and create more opportunities for brands and businesses to share content. As you can see, social media is constantly evolving. It’s a lot to keep track of as a consumer and even more so as a business owner. At AMG, we stay on top of these changes so you don’t have to worry about it and update your profiles as quickly as possible. If you’re struggling to keep up with social media, give AMG a call today to learn more about our social media services. We offer an array of online marketing services under our WebPresence™ marketing including social media, localization, search engine optimization, and reputation management to establish and increase your online presence in your community.